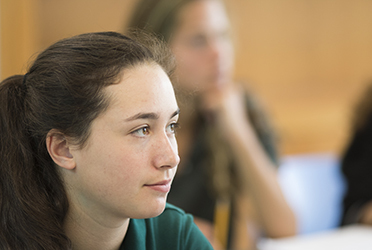 Greenwich Academy depends on major gifts to help build its endowment and to support specific capital projects and needs of the school. The Academy is grateful for the tremendous generosity of all members of its community who, in addition to supporting the school through Annual Giving, have made significant contributions to the long-term strength of the institution through endowment and capital gifts. GA continues to move forward with fueling its endowment to fund groundbreaking programmatic opportunities that inspire its students and faculty as 21st century leaders. Signature programs in STEAM include the new Engineering and Design Lab and computer science program, STEM Interest Group, research and lab placements; networks and partnerships such as GAINS (Girls Advancing in STEM), internships and independent studies, GOA (Global Online Academy), SPARC (School Participatory Action Research Collaborative); and global citizenship through expedition courses, speakers series, travel and exchange programs. As of June 30, 2018, Greenwich Academy has an endowment of $116.6 million. GA's net endowment has risen from $20.7 million in recent years to $93.1 million. In order for the Academy to stay true to its mission, to be at the forefront of the newest advances in education, to attract and retain the very best faculty, to have an inclusive and diverse community, to develop and maintain an innovative learning environment through its facilities, to remain competitive among comparable schools, and to provide security for its future, it is imperative that the growth of the school's endowment continue to be a priority. Endowed Funds augment the school’s general endowment and strengthen the school's overall financial condition. The income from these funds is used for specific purposes to support academic programs, scholarships, diversity initiatives, faculty development, and technology. Faculty Funds include funds to support professional development, fellowship and mentorship programs and sabbatical and teaching Chair opportunities. Program Funds include department-specific funding and lecture series. Scholarship Funds provide financial assistance to qualified students with demonstrated need. Technology Funds are designated toward technology advancement opportunities for both students and faculty. Greenwich Academy is launching a community-wide $75 million endowment campaign in September 2018. 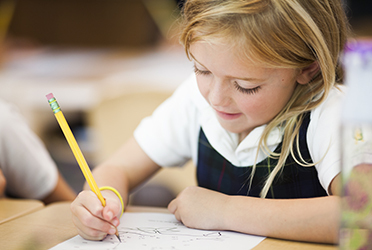 Addressing priorities outlined in the school's strategic and master plans, Leading the Way will advance GA's campus, curriculum, and community across all divisions, with a focus on character and leadership. "Thanks to my Greenwich Academy experience, I was able to develop a keen sense of self at an early age."